An extremely popular character comes back and this time onscreen as the over-designed toothy monster. Unfortunately the 112 minutes are tedious, watching what looks like a bad scribble without much personality beyond the really big mouth. There are a few moments which are more than mediocre but don’t let that fool you into thinking the movie ticket was worth it. The film seems to be based a lot of ideas that can be summarised as ‘dumb fun’ or a movie that has just made all the wrong decisions. The most surprising element of the movie is the poor acting. Hardy, Williams and Ahmed all deliver what should be termed the worst performances of their careers. On the bright side, their careers won’t be ruined by this half decent script. This film really highlights how imperative a script and a clever director can be! There are multiple times where the characters just seem to be drowning in godawful dialogue. Acting is a job that is made to look easy when it is done right. However, that isn’t the case here. The visual effects are okay but in the scheme of things and considering how popular Venom was in comics, you expect so much more. This is a poorly plotted movie that is shockingly acted. Many will be feeling restless in their seats as the boredom kicks in about a quarter way through the film. There may be a few laughs but who’s to say this isn’t the scornful, mocking laughter of an annoyed audience. The movie takes over just half an hour to really get off the ground. 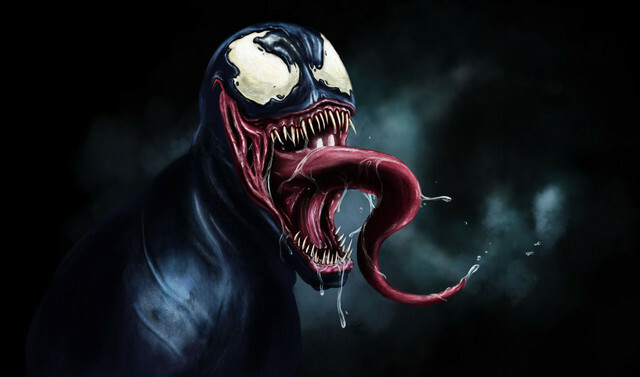 If the filmmakers had decided to give Venom a more of a tangible presence from the beginning, this would have made a huge difference. Instead, Venom is not illustrated as his own partially-independent entity soon enough. By then half the audience is fast asleep only to wake up to a scene where he completely takes over which makes you wonder where all the extra matter comes from. It just doesn’t make sense and what surprises me is how anyone on the crew thought it would. It is essentially an animated anti-climax. Although the film is extremely forgettable and insignificant, it may just be misunderstood. What is perhaps expected versus what is delivered is a magnificent mismatch but in the end the movie is about a cartoonish entity who can unleash its base instincts on bad people. If the execution was done properly and correctly, this film could have been a great superhero movie. Overall, going in with a neutral stance, there were many hopeful moments where I felt that it might just get there but it didn’t quite do it for me. Hopefully future filmmakers learn from this and ensure that nothing as cheesy and unsatisfying is produced again.